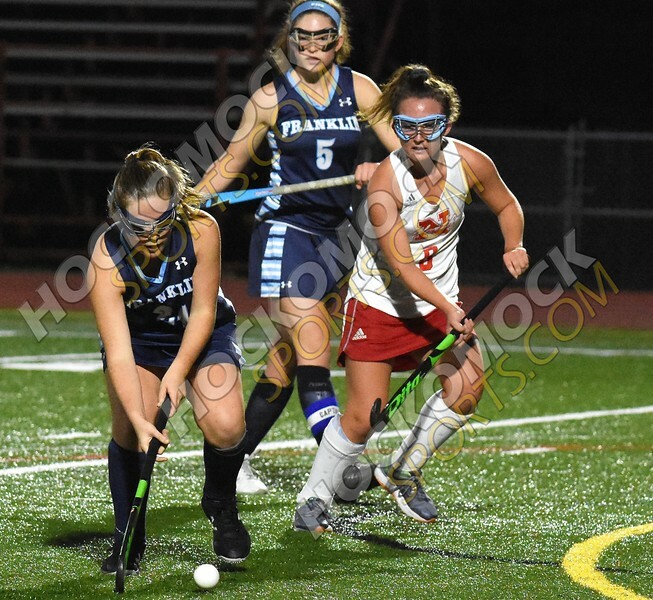 Franklin Matters: FHS field hockey, volleyball, golf, and boys cross country team all post wins on Thursday! FHS field hockey, volleyball, golf, and boys cross country team all post wins on Thursday! - Franklin’s Victoria Quinn scored with under 10 minutes to play to give the Panthers a win on the road at North Attleboro. Quinn got her stick on a shot from Cassi Ronan to put the Panthers up 1-0 with eight minutes left. Christina Luccini made a save on a penalty stroke early in the second half to keep the game tied. – Franklin senior captain Matt D’Errico and sophomore Nolan Norton shared medalist honors, both shooting low-rounds of 39 to pace the Panthers past Attleboro. Jake Blaney chipped in with a 41 for Franklin while Ethan Johnson and Jack Handy led Attleboro, each shooting a 43. – The top five runners finished within an 11-second span and the top 10 was all within a minute in a very exciting finish at Mansfield. Franklin junior Tyler Brogan crossed first, edging Mansfield’s Patrick Heavey by just two seconds. Franklin senior Mike Hagen and sophomore Nick Calitri took third and fourth overall while Mansfield’s Jason Windvogel rounded out the top five. – Mansfield junior Jessica Alestock and sophomore Emma Lamson finished strong over the 800 meters to earn seventh and eighth, respectively, clinching the win for the Hornets. Hornet sophomore Tessa Lancaster was first overall, jumping ahead early and never looked back. Julia Fenerty was the first Panther to finish, taking second overall.